L. Alfredo Grieco received the Dr. Eng. degree (with honors) in electronic engineering from “Politecnico di Bari,” Bari, Italy, in Oct. 1999 and the Ph.D. degree in information engineering from “Università di Lecce,” Lecce, Italy, on December 2003. 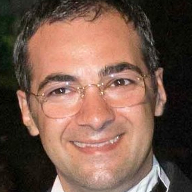 From Jan. 2005 to Oct. 2014, he held an Assistant Prof. position at the “DEI - Politecnico di Bari”. From March to June 2009, he has been a Visiting Researcher with INRIA (Sophia Antipolis, France), working on the topic of Internet measurements. From Oct. to Nov. 2013, he has been a Visiting Researcher with LAAS-CNRS (Toulouse, France) working on Information Centric Networking design of M2M systems. From Nov. 2014 to Dec. 2018, he has been an Associate Professor in Telecommunications at Politecnico di Bari (DEI). Since Dec. 2018, he is a Full Professor in Telecommunications at Politecnico di Bari (DEI). He authored more than 150 scientific papers published in venues of great renown that gained more than 6000 citations. His current research interests include: Internet of Things, Information Centric Networking, and Nano-communications. He is the Founder Editor in Chief of the Internet Technology Letters Journal (Wiley) and serves as EiC of the Transactions on Emerging Telecommunications Technologies (Wiley) and as associate editor of the IEEE Transactions on Vehicular Technology (for which he has been awarded as top associate editor in 2012 and 2017). He has been constantly involved as Technical Program Committee member of many prestigious conferences. Within the Internet Engineering Task Force (Internet Research Task Force), he is contributing (as author of RFC 7554) new standard protocols for industrial IoT applications (new standard architectures for tomorrow ICN-IoT systems). Starting from 2016 he is a Distinguished Lecturer for the IEEE VTS.